Urban Design Lab. 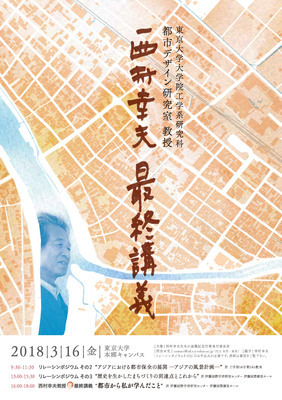 Magazine Vol.272 "The Meaning of "Ideal" in Planning"
We issued Urban Design Lab. 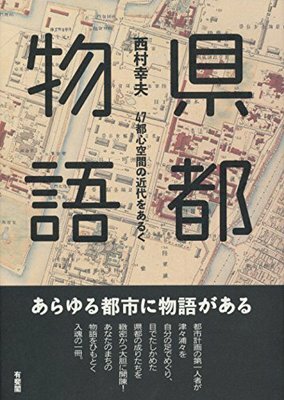 Magazine Vol.272 "The Meaning of "Ideal" in Planning". 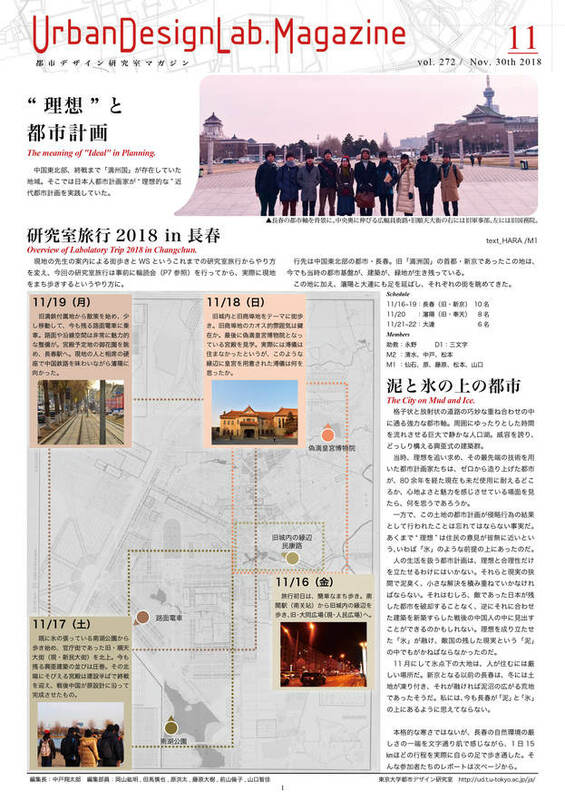 Report about the Lab Trip in Manchuria (Changchun, Shenyang and Dalian in the north-east part of China). ●Overview of Labolatory Trip 2018 in Changchun. ●A Grumet Travel Journal, Pieces of the Trip. 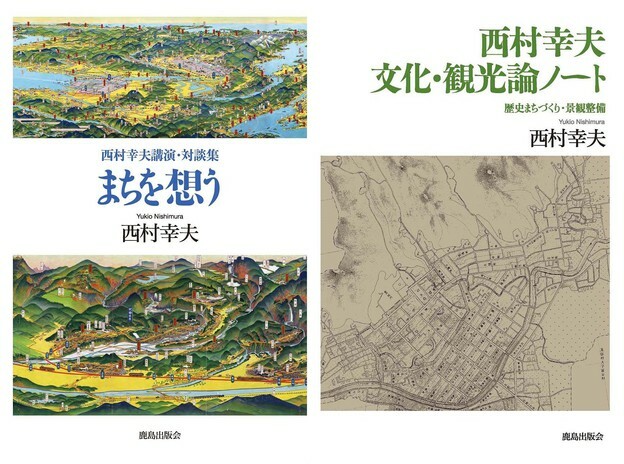 ●Open Discussions about "Manchukuo" for the Lab Trip. Urban Design Lab. Magazine Vol.267 "What is on the shelf?" Urban Design Lab. 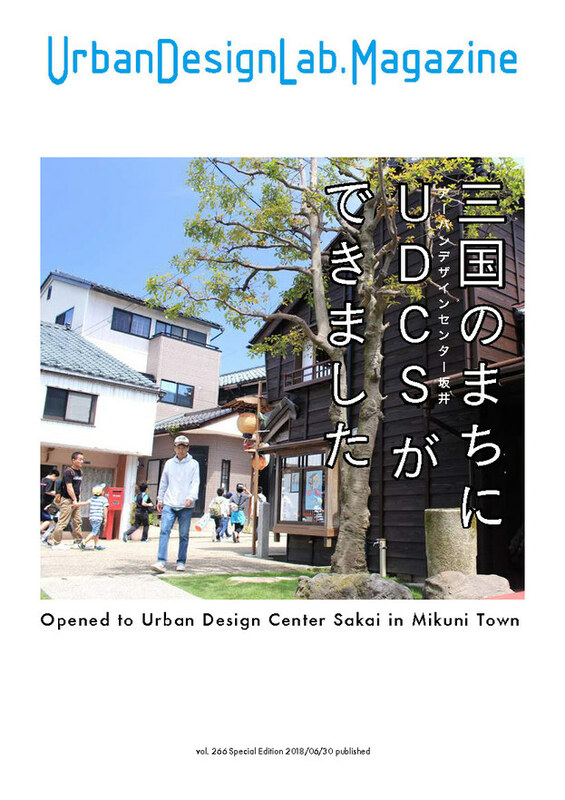 Magazine Vol.266 Special Edition "Launch of Urban Design Center Sakai "
Urban Design Lab. Magazine Vol.265 "Cultivate These Identities." Urban Design Lab. Magazine Vol.264 "Take a New Step From Our History." Laboratory guidance for mainly undergraduate students will be held in following schedules. We would like to have a deep discussion with you through your graduation thesis and design. Lab Magazine vol.263.9 "Messages for Dear UDLab. Members". 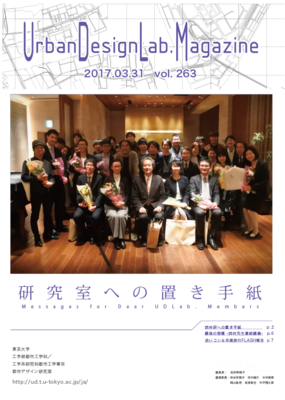 We just published Lab Magazine vol.263.9 "Messages for Dear UDLab. Members". 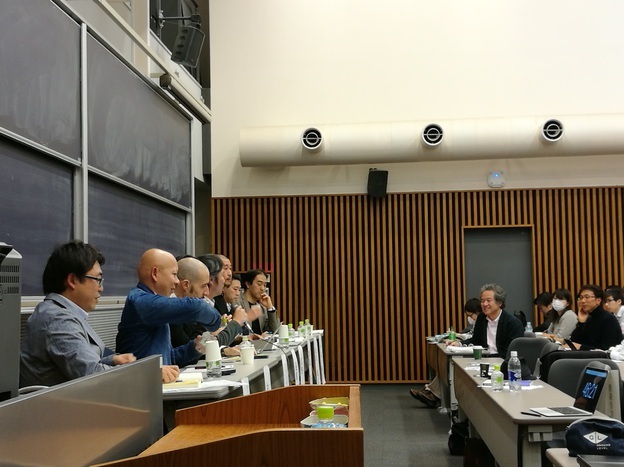 The Last lecture by Prof. Yukio NISHIMURA will be held in 16th, March, 2018 at Ito International Research Center in Hongo Campus, The University of Tokyo. 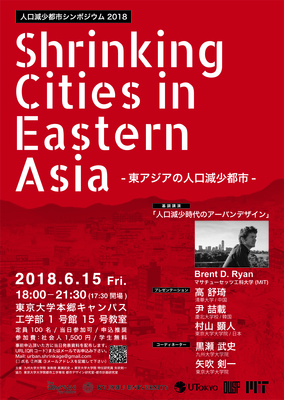 On the same day, the symposium#2 and #3 will be held as below. We'll have farewell party after the last lecture in the next room. 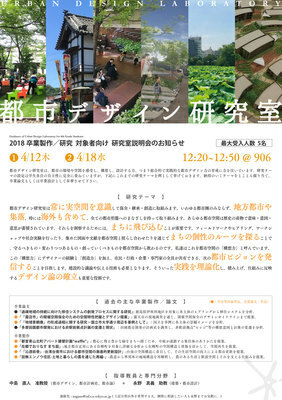 Please contact [contact@ud.t.u-tokyo.ac.jp] if you like detailed information.